Upgrade and enhance food's natural essence with a sprinkle of this artisan flavor-infused, gourmet sea salt. In her New Jersey salt cellar, Kimarie combines clove, cinnamon and vanilla bean with all-natural sea salt to create this perfect blend for any meal. Makes for a perfect slow cooker ingredient. Each gourmet sea salt package includes a 3.4 oz. jar of salt, a bamboo salt spoon and a recipe card. 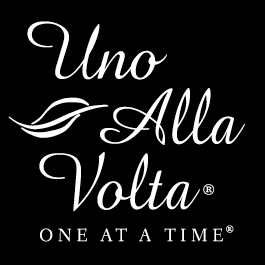 Exclusively from Uno Alla Volta.